Please note that business advisors are available by appointment only. Sorry, but we cannot accommodate walk-ins. In order to better serve you, please call in advance to schedule an appointment with the appropriate regional office or specialty center. Business advisors are not available at the State Office. We look forward to meeting with you and helping your business succeed in Massachusetts and beyond. The Massachusetts Export Center is co-located with MassTech Collaborative at 2 Center Plaza. The building is located in downtown Boston across from City Hall. The building can be reached by car, subway, and commuter rail. Several MBTA stations are within a five-to-ten minute walk from the building, which is fully accessible to people with disabilities. Parking is available in multiple garages nearby. From the South: Take Route I-93 North to Exit 23, following signs to Government Center. Bear left off the ramp onto North Street and then turn left onto Congress Street You will then take a right onto State Street (which becomes Court Street) Bear right onto Cambridge Street and the building will be located on your left. The building is located directly across from Government Center Station and the entrance is next to the CVS. 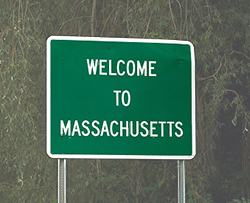 From the North: Take Route I-93 South to Exit 24B-A and keep right for RT-1A, following the signs for Government Center. Take a left onto Surface Road and a right onto State Street. The Road name will change to Court Street after a quarter mile. Bear right onto Cambridge Street and the building will be located on your left. The building is located directly across from Government Center Station and the entrance is next to the CVS. From the West: Take the Mass Pike I-90 East to Exit 18 (which will be on the left). Follow the signs towards Cambridge/Somerville. Turn right onto Soldiers Field Road (there will be a Doubletree Suites on the corner). This road will turn into Storrow Drive. Keep right onto David G Mugar Way and then keep straight onto Cambridge Street. After a half a mile, the building will be on your right. (If you reach Tremont Street, you have gone too far.) The building is located directly across from Government Center Station and the entrance is next to the CVS. Green Line: Exit at Government Center station. When you exit the station, you will cross Cambridge Street. The entrance to 2 Center Plaza will be directly in front of you. Blue Line: Exit at Government Center Station. When you exit the station, you will cross Cambridge Street. The entrance to 2 Center Plaza will be directly in front of you. Red Line: Exit at Park Street Station. Change to the Green Line and take to Government Center Station. When you exit the station, you will cross Cambridge Street. The entrance to 2 Center Plaza will be directly in front of you. From Boston and Points North and East: Take Route 93 South to Route 24 South to Route 140 South. Take Exit 2B onto I-195 East. Take Exit 15S (downtown New Bedford) onto Route 18. At the second light, turn right on to Union Street. Go two additional sets of light and turn right onto Purchase Street. The Massachusetts Export Center is one block up on the right on Purchase Street. From Providence and Points West: Take Route 195 East to Exit 15 onto Route 18. At the second light, turn right on to Union Street. Go two additional sets of light and turn right onto Purchase Street. The Massachusetts Export Center is one block up on the right on Purchase Street. A parking garage can be found adjacent to the Zeiterion Theatre at 684 Purchase Street. From Route 18 coming from Exit 15, go through two sets of traffic lights. Take the next exit (it comes up very quickly and isn’t marked very well) – School Street. At the third stop sign, at Purchase Street, take a right. At the next intersection (Purchase and Spring Streets) take a right. At the end of the street, take a right onto Acushnet Avenue. The parking garage entrance is on your right. A parking garage can also be found at Elm Street. From Route 18 coming from Exit 15, take a right at the first light; the garage will be on the right. From the Center, turn right onto William Street, then a left on 2nd street. The garage will be two blocks ahead. There is a small outdoor lot at Second and Acushnet Avenue. This lot offers free parking on the weekend. From Route 18 coming from Exit 15, take a right at the first light. Take a left at Acushnet Avenue. The parking lot will be on your left 3 blocks up. From the Center, turn right on William Street, then a right on Acushnet Avenue. The lot will be on your left. From Bus Terminal: Turn right and walk three blocks down Pleasant Street (opposite the flow of traffic). Turn left down William Street and walk down to Purchase Street, and take a right. The Massachusetts Export Center is three doorways up on left. From the North or South: Take I-495 to Exit 23B (Route 9, westbound). Proceed west on Route 9 for 3.3 miles to the intersection of Route 135. Turn right onto Route 135 West and follow 0.4 mile to North Drive. The entrance is on the right. From the East or West: Take the Massachusetts Turnpike to Exit 11A to I-495 North, then take Exit 23B (Route 9, westbound). Proceed west on Route 9 for 3.3 miles to the intersection of Route 135. Turn right onto Route 135 West and follow for 0.4 mile to North Drive. The entrance is on the right. The MSBDC State Office is located on Tillson Farm Road at the north end of campus. Tillson Farm Road is located off East Pleasant Street between the UMass Police Department and the Amherst Fire Department. The MSBDC State Office is located in the first house on the right. Parking is available. Click here for directions to the UMass campus. Click here for a campus map (see E, 1). From Massachusetts Turnpike (I-90): Take the Mass Pike to Exit 2 (Lee) From the ramp, turn right onto Route 20 (to Lee and Pittsfield). Stay on Route 20 as it merges with Route 7 (North). Follow Route 7 (North) approximately 7 miles to the intersection of East Street and West Street at the southern edge of downtown Pittsfield. Go through this intersection, and turn right at the second street onto Fenn Street. The yellow brick Dunham Mall building is on the right at the corner of Fenn Street and Allen Street, and it is directly across from Pittsfield City Hall. From Route 9: Follow Route 9 West through the Town of Dalton to the light at the intersection of Routes 8 & 9, Pittsfield (Coltsville). Follow Route 9 until it ends. Make a left onto North Street and follow to the intersection of Depot Street on the right and Fenn Street on the left. Turn left onto Fenn Street. The yellow brick Dunham Mall building is on the right at the corner of Fenn Street and Allen Street, and it is directly across from Pittsfield City Hall. Parking: There is free public parking in the parking lot approximately 200 feet past the Dunham Mall building on the left. There is both 90 minute and three hour parking available. The entrance to the building is on the side opposite the Pittsfield Police Station. On the campus map, the SBDC office is Building #12 (The Carriage House), located between Loudon and Hawthorne Streets in the Woodland Street Historic District. From the Massachusetts Turnpike (I-90) East: Take Mass Pike to Exit 10 (I-290 East, Auburn/Worcester). Take Exit 11 (College Square/Federal Square). Go straight, following sign for Federal Square/Downtown. At second traffic light, take a left onto Cambridge Street (St. Matthew's Church on left and Culpeppers Bakery on right). Go one mile to the end of Cambridge Street. Take a sharp right onto Main Street. After the second set of traffic lights, turn left from Main Street onto Hawthorne Street. Take your first right onto Woodland Street. The office is located in the second building on the right, The Carriage House, 1st Floor. From Route 2 East or West: Take Route 190 South to Route I-290 West to Exit 18 (Route 9, Framingham/Ware). Bear right at the end of the ramp. Go through the lights at the end of the ramp and get into the middle lane. Bear left following signs to Lincoln Square. Take a right at second traffic light onto Highland Street. At the fifth traffic light, take a left onto Park Avenue. Go through four traffic lights and start looking for Charlotte Street on your left. Take Charlotte Street to Woodland Street, then turn left onto Woodland. The office (125 Woodland Street) is on the right, The Carriage House, 1st Floor. Parking: You can park on the street in front of the building or in the small lot to the right of the building. Directions from Route 128: Take Exit 25 to Route 114 East for 3.9 miles to Salem State University North Campus. Bear right at lights (following 1A South) onto Loring Avenue. Central Campus and the Enterprise Center are 3 blocks on the left, directly across Loring Avenue from the Salem Diner. From the South via Route 1A: Follow Route 1A North through Revere, Lynn, Swampscott and into Salem. One-half mile after entering Salem, bear right at the lights on Loring Avenue (following Route 1A North). Central Campus and the Enterprise Center is on the right directly across Loring Avenue from the Salem Diner. Parking: Look for the single-story building named the Enterprise Center. Park in front of the building or on the side in a space designated for Enterprise Center or visitors. From I-91 South: Take Exit 7 / Springfield Center and go straight through lights. At the second light, turn left under the highway onto State Street. Take State Street to Federal Street (approx. one mile). At the top of the hill, turn left onto Federal Street. The Scibelli Enterprise Center is on the right at the corner of State and Federal streets in the STCC Technology Park. From I-91 North: Take Exit 6 / Springfield Center. Follow East Columbus Avenue to State Street (approx. 1/4 mile). Turn right onto State Street and follow to Federal Street (approx. one mile). At the top of the hill, turn left onto Federal Street. The Scibelli Enterprise Center is on the right, at the corner of State and Federal streets in the STCC Technology Park. Alternative from I-91 North or South: Take Exit 8 to Route 291. Get into the right lane. Take Exit 3, Armory Street. At the end of the ramp, get into the right lane at the traffic light. Turn right onto Armory Street south. At the 3rd light, turn right onto Taylor Street. Take first left (directly behind the gas station) onto Federal Street. Follow Federal Street for 4/10 of a mile until you see Springfield Technical Community College (STCC) on the right. The Scibelli Enterprise Center is in the STCC Technology Park directly across the street on the left. From the Mass Pike: Take Exit 6 (Springfield). At end of ramp, turn left onto Route 291. Take Armory Street exit. Go 3/4 of the way around the rotary and take Armory Street South. At the third light, turn right onto Taylor Street. Take immediate left onto Federal Street. Go about four-tenths of a mile and turn left into the STCC Technology Park’s gate. The Scibelli Enterprise Center is on the left-hand side of the facility. Parking is available in front of the SEC, as well as behind the building. Due to heavy construction in the area you may encounter detour signs. The Southeast Regional Office is located on the 2nd Floor in the Bristol County Chamber of Commerce building (formerly the Fall River Chamber). Please park in the lot closest to the building and arrive a few minutes prior to your appointment. From New Bedford / Cape Cod: Drive west on Route I-195 to the Route 81/Plymouth Avenue/Pleasant Street exit (Exit 7-6). Keep left and follow to Exit 6 / Pleasant Street. Turn right at end of exit onto Pleasant Street and immediately turn left onto 7th Street. After one block on 7th Street, turn left onto Bedford Street. Stay in the left lane on Bedford Street. At the third light (after a blinking light at the fire station), turn left onto South Main Street (People Inc. will be on your left and Bank of America diagonally across the intersection on your right and a series of flag poles will be on your right after you turn). Get in the right lane and turn right at the next light onto Pocasset Street. The Fall River Herald News will be on your left after you turn. The MSBDC is located on the second floor of the Bristol County Chamber of Commerce building on the right (formerly the Fall River Chamber). Drive through yellow poles into the parking lot closest to the building. Please arrive a few minutes prior to your appointment. From Taunton / Boston: Take Route 24 South to Route 195 West (do not take the Route 138/79 exit as it is closed). Exit Route 24 at Route 81/Plymouth Avenue/Pleasant Street (Exit 7-6). Keep left and follow to Exit 6 - Pleasant Street. Turn right at end of exit onto Pleasant Street and immediately turn left onto 7th Street. After one block on 7th Street, turn left onto Bedford Street. Stay in the left lane on Bedford Street. At the third light (after a blinking light at the fire station), turn left onto South Main Street (People Inc. will be on your left and Bank of America diagonally across the intersection on your right and a series of flag poles will be on your right after you turn). Get in the right lane and turn right at the next light onto Pocasset Street. The Fall River Herald News will be on your left after you turn. The MSBDC is located on the second floor of the Bristol County Chamber of Commerce building on the right (formerly the Fall River Chamber). Drive through yellow poles into the parking lot closest to the building. Please arrive a few minutes prior to your appointment. From Providence: Drive East on Route 195 into Massachusetts and drive over the Braga Bridge. Take the Route 81 South / Plymouth Avenue exit (Exit 6-7), toward downtown Fall River. Turn right onto Hartwell Street. Make a slight left onto Borden Street. If you are on Hartwell Street and reach 4th Street, you've gone a little too far. Borden Street becomes Third Street for a short time, then make a slight right back onto Borden Street. Turn right onto South Main Street (Dunkin Donuts is on corner). Take the second left onto Pocasset Street. The MSBDC is located on the second floor of the Bristol County Chamber of Commerce building on the right (formerly the Fall River Chamber). Drive through yellow poles into the parking lot closest to the building. Please arrive a few minutes prior to your appointment. The headquarters for the Procurement Technical Assistance Center is located at the MSBDC State Office, located off East Pleasant Street at the north end of campus next. Tillson Farm Road is situated between the new UMass Police Department and the Amherst Fire Department. Sorry, we cannot accommodate walk-ins; appointments are required. Parking is available. Click here for directions to the UMass campus. Please call Alison at 508-673-9783 ext. 10 to schedule an appointment. From Fall River and Providence: Follow Route 195 East. Take Exit 15 (Route 18/Downtown). Take the second exit off of Route 18, Purchase Street. At the red flashing light, take a left onto Purchase Street. The Quest Center is a large, red, brick building, on the right after a boarded up brick building, next to Glaser Glass. It is on the corner of Purchase and Maxfield Street. Free street parking is available but limited, please plan to arrive early for your appointment. From Boston: Follow Route 93 to Route 128 to Route 24 South. Stay on Route 24 to Taunton (about 40 minutes). Take the Route 140 South exit (about 20 minutes). This is Exit 12. Follow 140 South to Exit 2A. This will be Route 195 East. Follow Route 195 East. Take Exit 15 (Route 18/Downtown). Take the second exit off of Route 18, Purchase Street. At the red flashing light, take a left onto Purchase Street. 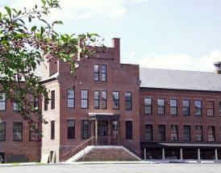 The Quest Center is a large, red, brick building, on the right after a boarded up brick building, next to Glaser Glass. It is on the corner of Purchase and Maxfield Street. Free street parking is available but limited, please plan to arrive early for your appointment. From Cape Cod: Follow Route 195 West. Take Exit 15 (Route 18/Downtown). Take the second exit off of Route 18, Purchase Street. At the red flashing light, take a left onto Purchase Street. The Quest Center is a large, red, brick building, on the right after a boarded up brick building, next to Glaser Glass. It is on the corner of Purchase and Maxfield Street. Free street parking is available but limited, please plan to arrive early for your appointment.